Your carpet is one of the biggest investments you will make for your home. Carpet is designed to hold up to everyday use, but it still needs to be taken care of. By applying these tips and tricks, homeowners can keep their carpet in decent shape in between professional cleanings.d again. Please note, unless you are a professional carpet cleaner, the remedies available to you are limited. Professional carpet cleaners are fully trained and have professional-grade tools and solutions. Only your local Toronto carpet cleaning company can fully restore the look and feel of your carpet. Unless your carpet is pure white, bleach will cause a stain that will result in your having to have the carpet repaired or replaced. There is generally a simple approach for every type of stain and you can achieve excellent results if you employ the right solutions. If you have spilled beer or wine, club soda is the trick to use here. Pour a bit of unflavored clear club soda on the stain then blot it up. If the club soda isn’t getting all of the stain up, try mixing a little distilled white vinegar and club soda in a spray bottle and spraying the stain. Let the solution sit for 15 minutes or longer – but don’t let it dry – then blot it up. You should notice an improvement. It is worth noting that club soda can actually set certain types of stains, like oil or grease. So make sure that you do not use this trick if you think it might be an oil or grease stain. If you have kids, you know how quickly they can turn your nice carpet into a minefield of sticky messes. If your little ones have gotten gum, candy, or other sugary snack stuck into your carpet, try scraping off as much as you can before applying a cleaning product. The best tip is to make sure to have your carpets professionally cleaned at least every six months, or more frequently if you have pets or kids. Not only will a professional carpet cleaning company keep your carpets clean, but it will save you money in the long run by helping you prevent the need for a carpet replacement. TTo find out more information about carpet cleaning services, carpet repairs, area rug cleaning, and other related services, please call Dr. Carpet at 647.800.5199 today! Before you spend hundreds of dollars replacing a carpet, you may way to consider simply repairing your carpet. When you use an experienced carpet repair service they can affordably solve problems resulting from things like wrinkling, stains, fading, and snags. Repairing a carpet does not take a long time, but it does take a professional to get the job done correctly. Carpet repairing is simply removing a damaged piece of carpet and replacing it with a matching piece. This piece may be a leftover remnant from the original installation, a sample piece from the shop, or it could be a piece taken from a closet or other area that isn’t likely to be seen every day (the bad patch of carpet may be used in the spot where the patch was taken from). Once the professional carpet repair technician has found a suitable replacement, he or she will carefully cut out the part of the carpet to be replaced. The replacement piece is attentively fitted into the hole in the carpet and is glued in place. Seams are rendered invisible and the carpet is trimmed to match the surrounding areas. What to look for in a carpet repair service. • Are they able and willing to provide MSDS for the materials they use? A good service should be able to provide MSDS for the materials they use when you request them. • Do they call to confirm your appointment before arriving? Courtesy is a benchmark of professionalism. • Is their pricing competitive within the current market? 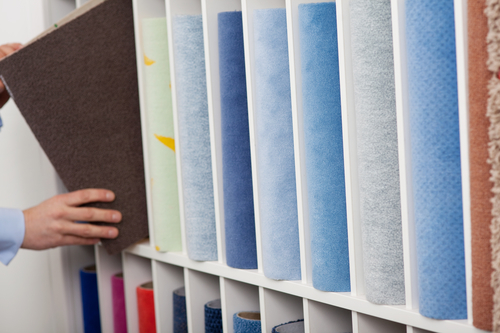 A professional carpet repair service will have their finger on the pulse of their industry and know what the market can support. 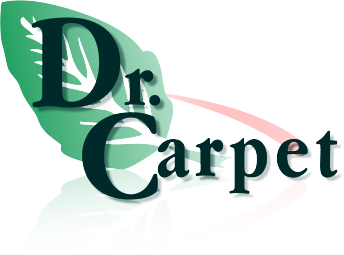 If you have further questions about carpeting repair services, or to get your free quote, please feel free to contact Dr. Carpet at 647.800.5199. We specialize in all kinds of carpet repairs for loose, buckling, frayed, torn, stained, and water damaged carpets in the Greater Toronto Area. Carpets do not generally have an expiration date. What is considered a lifetime will vary from room to room and how frequently that room is used. Family room carpeting may need to be professionally repaired or replaced more often than carpeting in a rarely-used dining room. However, there are signs that it’s time to say good-bye to your old carpeting. In heavily trafficked areas, like hallways and family rooms, you may notice the telltale sign of a carpet that needs to be replaced. If you see the carpet backing through the top of the carpeting, it is time to replace the carpet. Fraying along the edges of the carpet is another sign that it is time to start looking for new carpet. 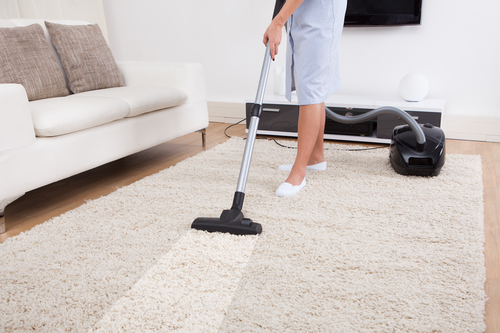 If you have vacuumed and combed and the fibres of your carpet are still lying flat, it’s time to replace your carpet. The materials that your carpet may be made of – polyester and olefin fibres – are more prone to matting, especially in high traffic areas. If you are starting to notice ripples in your carpet, the carpet is stretched and warped. You may need to replace the carpeting, but call your local Toronto carpet stretching company to check it out first. Do You Know How Old Your Carpet Is? Carpets do not necessarily need to be replaced just because they are old. But if you can’t remember how old the carpeting is or if it came with your home when you moved in, it is probably time to replace the carpeting. If you have had your carpets professionally cleaned and still can’t get that odor out, it may be time to replace your carpet. Carpets are absorbent and trap dust, dander, debris, and allergens. Over time it becomes more difficult to remove all of the problem particles – even with professional cleaning. The same rule applies to stains as well. If you have had your carpets professionally treated for stains and they still won’t come out, it may be time to replace your carpet. Carpet that is in high traffic areas or in areas that have a lot of natural lighting are more prone to fading. Spots of lighter color or a generally faded carpet may not be reason enough to replace your carpet, but if you are experiencing any other issues, you may want to consider replacing your carpet. Do you always need to replace a carpet that shows these signs? Not always. Sometimes you can simply repair parts of carpet that are beyond their prime. To find out if it is time to replace your carpet or if you simply need a professional carpeting patching service, call Dr. Carpet at 647.800.5199 today! Has your carpet gone from flat to wrinkled? It may be time to have it re-stretched.